We expect the rupee to depreciate over the next 6-12 months. 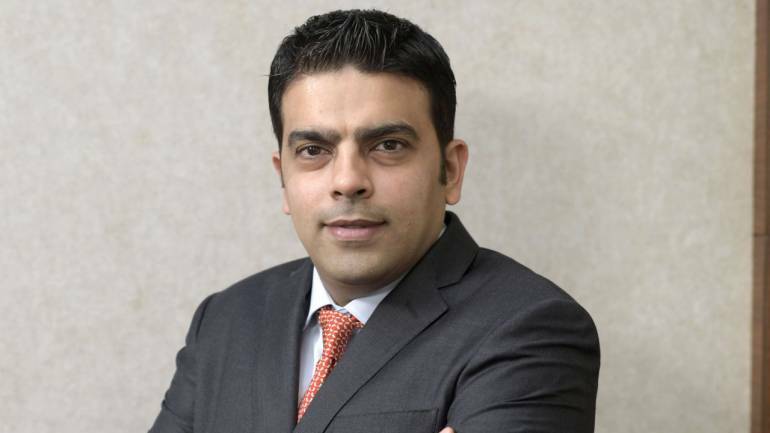 This is because, despite the oil price fall, the gap between the current account deficit and FDI flows are likely to be $30-35 billion in FY20, Gautam Shroff, Co-Head Institutional Equities, Edelweiss Securities, said in an interview with Moneycontrol’s Kshitij Anand. Q: As we enter into FY20, concerns over global slowdown has clouded equity market outlook. Should investors in India be worried? A: While India is considered to be a domestic demand-oriented economy, linkages with the global economy are quite high especially with regards to the capital markets. Hence, if the global growth concerns accentuate then there could be a flight to safety and weigh adversely on India's markets. However, the saving grace is that global central banks are quite agile and could respond with aggressive monetary easing. This, in turn, would also provide the Reserve Bank of India (RBI) to stimulate and interest rates could move lower which will support equity markets. Q: What is your outlook for stock markets for FY20? A: For FY20, we expect markets to be rangebound as earnings recovery is likely to be delayed owing to slowing global growth and after effects of liquidity tightness seen in 2018. Q: What segment of the market is looking more promising—largecap or mid and smallcaps? A: Mid and smallcaps have underperformed largecaps by a large margin in the last 12 months, but they are now trading at a small discount to historical valuations. Thus, the excess exuberance in them has certainly eased. However, given our relatively cautious stance on markets and earnings cycle, we still prefer largecaps over midcaps. A: We expect the rupee to depreciate over the next 6-12 months. This is because, despite the oil price fall, the gap between the current account deficit and FDI flows are likely to be $30-35 billion in FY20. Bridging this gap when global growth is weak could be challenging. Q: Which sectors are likely to remain in limelight in FY20 given the upcoming general elections? A: We think that the rural-oriented sectors are likely to be in the limelight till elections. This is because, given high farm distress, it is only natural that this segment will be of utmost importance from a political standpoint. A: In our view, three factors will shape markets in FY20: 1) Global growth 2) domestic liquidity situation and 3) government spending. It is how these variables move that will be critical for markets. A: We expect FY20 to be relatively rangebound with a positive bias. Q: Top five value stocks that investors can look at for FY20? A) We like KEI Industries which is trading at FY20 P/e 14x and ROE 24 percent. The 12-month target price is set at Rs 525. Federal Bank that is trading at a P/B value of 1.2x and a target price of Rs 121. L&T Finance Holdings is trading at FY21 P/B 2x and ROE 18 percent. We have a target price of Rs 175. Redington India is trading at FY20 PE of 7. We have a target price of Rs 160. And finally, Voltas that is sustaining a leadership position in the room AC market (24 percent market share currently), given its mass premium brand image is a strong buy. Strong competitive MOAT in room AC, asset-light business and high distribution penetration driving healthy returns/cash flows. With its Volt-Bek JV, the company expanded its addressable market (3x bigger market, versus incumbent room AC) leveraging on its mass premium brand image and armed with a strong product portfolio of the JV partner/fungible distribution of Voltas.